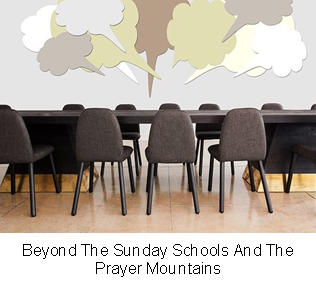 Sanmi Akintayo is a teacher of the Word of God and shows people how to live a victorious and purposeful life with a commitment to see people become all that God wants them to be. 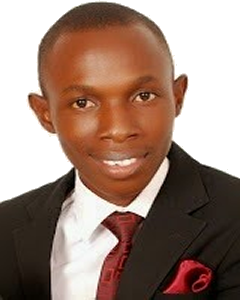 Akintayo is the author of WordAlive, Real Leaders, CAMPUSXTIANS and the book Overcoming The Devil By The Word of God. It’s no doubt that we are in the era of grace. The death and resurrection of Christ established the Covenant of grace and brought us into the dispensation of grace. Our entire life is now under grace in Christ. Therefore we can’t select the aspects of our lives that will be lived under the grace or otherwise. This is the foundational truth about our status in Christ. There are a few opinions here and there on what giving under the new covenant of grace should be like. 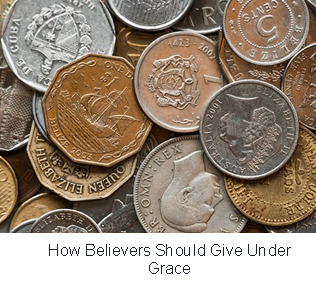 Is tithe** under the grace? What happens if you don’t pay tithe under the new covenant of grace? These and a few other issues need sound clarifications that are rooted in the Word of God. As believers in Christ we are fully under grace and not under the law. It’s is important that we know that God does not intend that we should live partly under the law and partly under grace. We are to live solely under grace in Christ. Is there giving under the grace? Yes, absolutely. There is a place of giving under grace but it is not exactly the same as giving under the law. Giving under the law was an obligation that must be fulfilled without which there would be negative consequences which sometimes could be huge. Malachi 3:9 shows some of the consequences of failing to give under the law. Under grace the story is totally different. Two main things should guide our giving under grace. The first is that you should give as you purpose in your heart. This is the very clear position of the New Testament scriptures. You are at liberty to decide what you want to give under grace. Each one of us should decide what we want to give in church or to other godly or humanitarian courses. Under grace no one should give under compulsion. You should give willingly as you purpose in your heart. The second thing that should guide our giving is the leading of the Holy Spirit. This is very important. As believers the Holy Spirit lives inside us and if we listen to His leading He will guide us on how to give, when to give, where to give, to whom to give and how much to give. When we are led by the Spirit we are totally free from the dictate of the law. The law was their guardian in the old Covenant, therefore they did everything according to the law including giving. "Now, the law is no longer our guardian. The Holy Spirit is our guide. The bible says He will guide us into all truly" John 16:13. Instead of worrying ourselves to do what the law says we should rather pay attention to the leading and guidance of the Holy Spirit. If you give as led by the Holy Spirit you can’t be wrong because the Holy Spirit can’t be wrong. We should focus on responding to the leading of the Holy Spirit so that we will give when God wants us to and as He wants us to. Tithe is used here as example of the several ‘givings’ mentioned in the Bible. Tithe predates the law. Abraham (Genesis 14:18-20) and Jacob (Genesis 28:22) gave tithes at their discretion. In addition to ‘substance offering’ represented with the tithe, Jesus emphasized ‘life offering’ (Matthew 23:23).